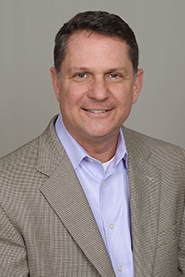 Houston, TX, January 23, 2019 — Hand Benefits & Trust (HB&T), a BPAS company, is pleased to announce the addition of Chris Hewitt as its Sales Consultant, Institutional Trust. HB&T is a leading national provider of employee benefit trust services. Hewitt will deliver the full suite of the HB&T Collective Investment Fund (CIF) solutions to Asset Managers, Retirement Plan Advisors and Record-keepers across the nation. Collectives are built specifically for retirement plans and therefore have benefits above and beyond traditional 40-act funds. “CIFs generally provide for lower expense ratios, flexibility with underlying securities, and simplified 404(a)(5) compliance, which make it easier for clients to achieve their retirement goals,” added Hand. BPAS and its trust subsidiaries hold $77 billion in trust assets and have been administering CIFs since 1964. Prior to joining HB&T, Hewitt held Defined Contribution Investment Only (DCIO) positions with PNC Capital Advisors, Emerald Advisors, and Sentinel Investments. He is an Accredited Investment Fiduciary (AIF) and earned his Bachelor of Arts degree from Drexel University. BPAS is a national provider of retirement plans, benefit plans, fund administration, and collective investment trusts. We support 3,800 retirement plans, $77 billion in trust assets, $1 trillion in fund administration, and more than 450,000 participants. With our breadth of services, depth of creative talent, and financial resources, we are well positioned to help our clients solve all their benefit plan challenges without the need to engage multiple providers. One company. One call. The BPAS family of services includes: Plan Administration & Recordkeeping, TPA, Actuarial & Pension, VEBA & HRA/HSA, Fiduciary, AutoRollovers & MyPlanLoan, Healthcare Consulting, Transfer Agency, Fund Administration, Custody, and Collective Investment Trusts. Specialty practices include: Auto Enrollment Plans, Multiple Employer Trusts/Plans, Plans with Employer Securities, Puerto Rico Section 1081 Plans, VEBA HRA Plans, Cash Balance Plans, Collective Investment Trusts, and Fund Administration. BPAS subsidiaries include: Hand Benefits & Trust, NRS Trust Product Administration, Global Trust Company, and BPAS Trust Company of Puerto Rico. As a solutions-oriented national practice, we are committed to “Solving Tomorrow’s Benefit Challenges Today.” Visit bpas.com for more information.